During and after the First World War, blueprints for peace and a non-violent reordering of society permeated all countries in Europe. They were political, artistic and practical responses to the experience of total war, based on a wide array of different political and religious values and motives. While many of these ideas and initiatives have been studied in some detail, the gendering of peace in Europe during and between the two world wars has not as yet been systematically analysed. The gendering of initiatives for and debates over peace was a crucial element of European politics from the onset of the Great War to the struggles over appeasement in the run-up to the Second World War, and to the planning for post-war reconstruction. The gendering of peace is more than just the study of women’s pacifist groups – even though this is an important part of it. The notion of a gendering of peace refers to the fact that the different roles, emotions, and forms of agency that are attributed to men and women were crucial parameters for the ways in which a non-violent re-ordering of national polities and international relations was envisaged and legitimised. For example, male conscientious objectors as well as female pacifists were portrayed as ‘effeminate’, thus delineating a gendered space for the debate over non-violent politics. Discourses on nationalism and sovereignty in the wake of the Treaties of Paris in 1919/20 were ripe with gendered metaphors that portrayed the task of peaceful self- determination as a predominantly male endeavour. Debates over maternalism and the role of mothers in society were a crucial site for conceptualising a critique of belligerence. the evolution of pacifist commitment in the face of fascism and war. 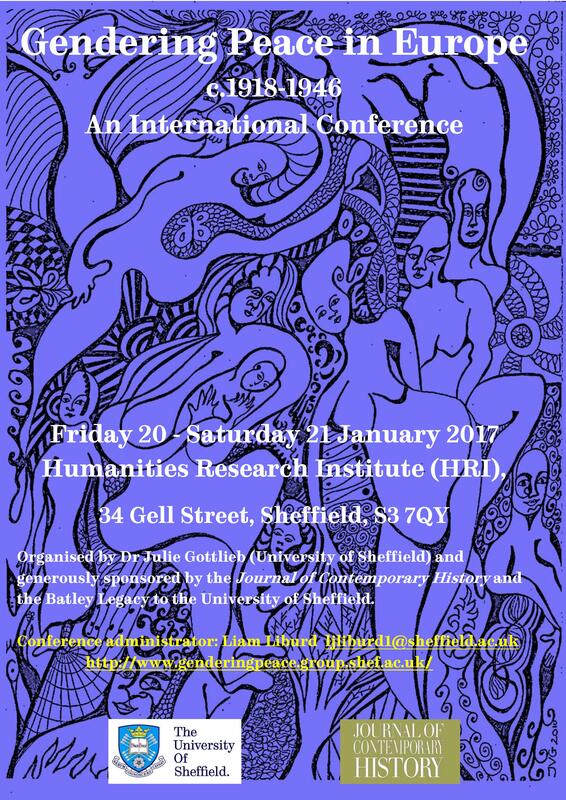 We will discuss these issues in this two-day conference, to be held at the HRI on 20-21 January, 2017.